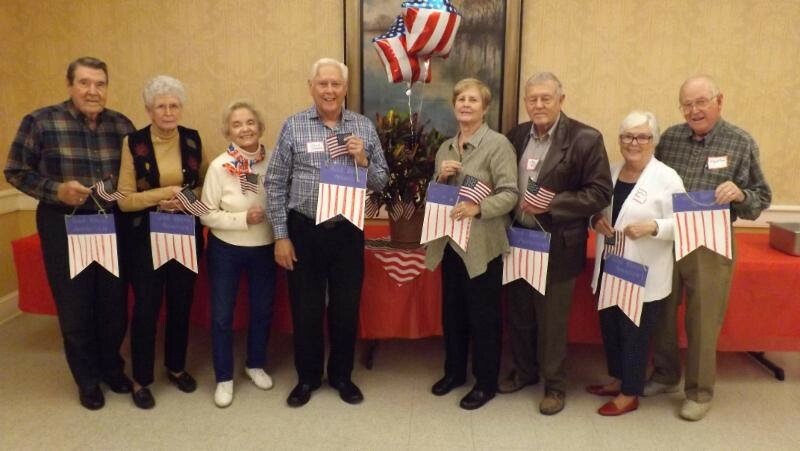 Exchangite from Rome Frank Redwine and his wife Tish organized a luncheon for Seniors for Veteran’s Day. 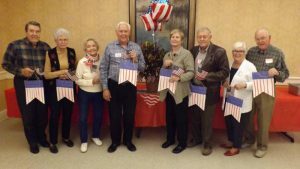 The Speaker was Dr. Jim Aiken, a past Senior Pastor at First Methodist Church and a veteran. Kindergarten children came in and sang “This Land is Your Land” and waved flags.